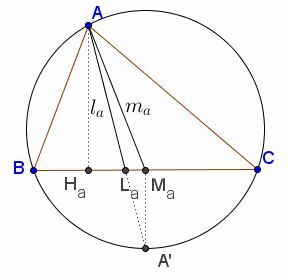 The inequality below establish a relation between the medians and the exradii of a triangle. The inequality was posted at the mathematical inequalities facebook group by Daniel Culea who found it in the book 360 Problems for Mathematical Contests by Titu Andreescu and Dorin Andrica. I am grateful to Leo Giugiuc for reposting the problem at the CutTheKnotMath facebook page and communicating to me a brilliant solution he and Dan Sitaru came up with. On the other hand, $r_ar_br_c=pS,\;$ which proves the required inequality.